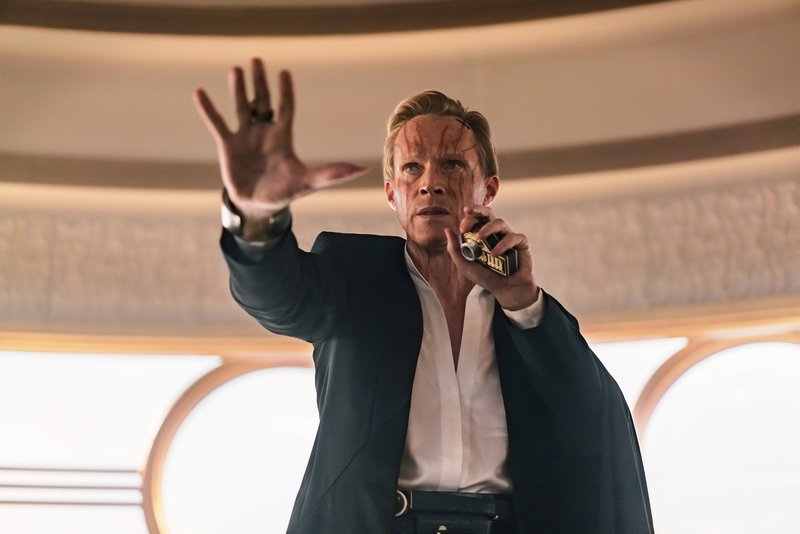 After more than year of constant news portraying Solo: A Star Wars Story as a troubled production you almost don’t want to see it. I certainly did go to the cinema yesterday with trepidation and anxiety. I left the cinema relieved, the movie wasn’t bad. In fact, I liked Solo, but I also recognize it is not per se a great movie. So what is Solo: A Star Wars Story all about? At its heart it is a heist movie. After escaping from Corellian poverty Han (Alden Ehrenreich) vows to go back to help his girlfriend Qi’ra (Emilia Clarke). To do that he first needs to survive his enlistment in the Imperial military. In a scene straight from Full Metal Jacket we catch up with Han in the trenches of a war-torn planet. We see him follow an officer who has come to rescue of a Han’s pinned down unit. The officer’s name is Beckett (Woody Harrelson) and he reminds me a lot of Lt. Rasczak from Starship Troopers. Slowly it will adorn to the viewer that he is no officer at all. He is a pirate who with his compatriot’s Val and Rio are there to steal a ship. I think the scenes captures the lunacy of war well. Han figures out Beckett is not who he says he is and asks to come along. Beckett instead has him arrested. Han is forced to fight ‘the beast’, which is really Chewbacca. Thanks to his ability to speak Shyriiwook he manages to convince Chewie to stage the fight – and together they escape. The manage to catch with Beckett as his ship is about to depart. This time Beckett is convinced to take the two of them along on their heist. And so an adventure starts with Beckett acting as a mentor of sorts to Han. 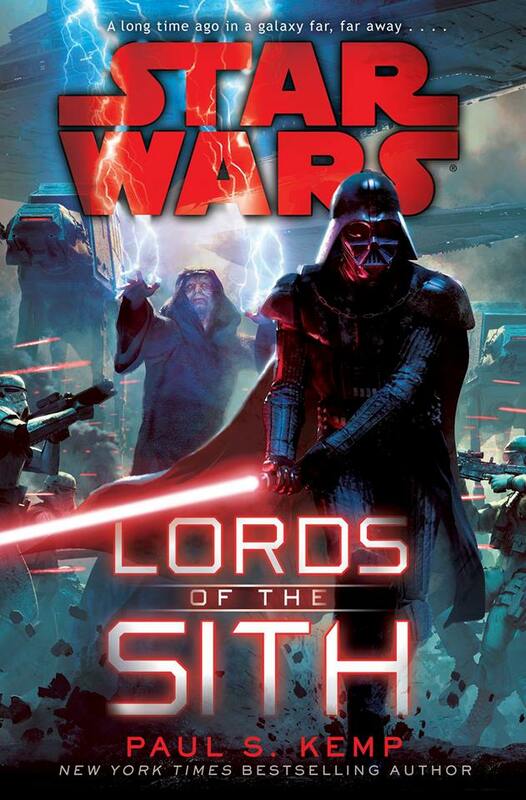 Things get complicated when the heist fails and Beckett ends up owning the Crimson Dawn and its leader Dryden Vos. Vos is a bit of throw-away villain unlike Zemo or Killmonger from the Marvel movies. Vos has scars on his face and he kills people when they fail – that is all that is established. Despite being a bit too much of a villain-with-a-gimmick in the mold of James Bond he does put Beckett and Han on their quest. They will get a second chance to retrieve the expensive Hyper-fuel Coaxium. To help them along he sends with them his lieutenant Qi’ra. The unexpected reunion raises more questions than answers – which the movie does not provide. And so Han Solo starts out in his first truly great heist, the one that will take him to Lando, the Millennium Falcon, Kessel and its Kessel-run. Frankly, the movie is damned entertaining. It does not stick around a scene too long, there is no Ron Howard shaky-cam and the finale feels satisfying even if some of it is predictable. From what I have described above I do not think I have spoiled that much – but for all the major revelations you can see the movie yourself. So where does Solo falter? Well, for one thing every Star Wars fan knows that Han Solo dies in Episode 7. For a standalone origin story to work there must be something to lose. It simply did not feel as that would happen. Throughout the movie Han Solo has some of his rough edges smoothed out by the people around him, but there is no major character development. I did not see a progression from farm-boy to galactic hero like Luke Skywalker in the original Star Wars movie. Instead, at most what can be said is that Han developed from friendly buffoon to the more cynical man-of-the-galaxy we know and love. 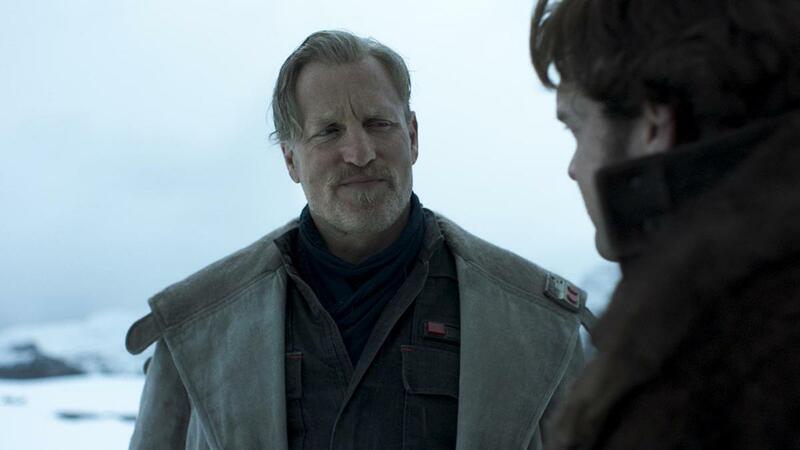 It is thus strange that Solo fails because of its titular character – despite the good acting performance of Alden Ehrenreich. 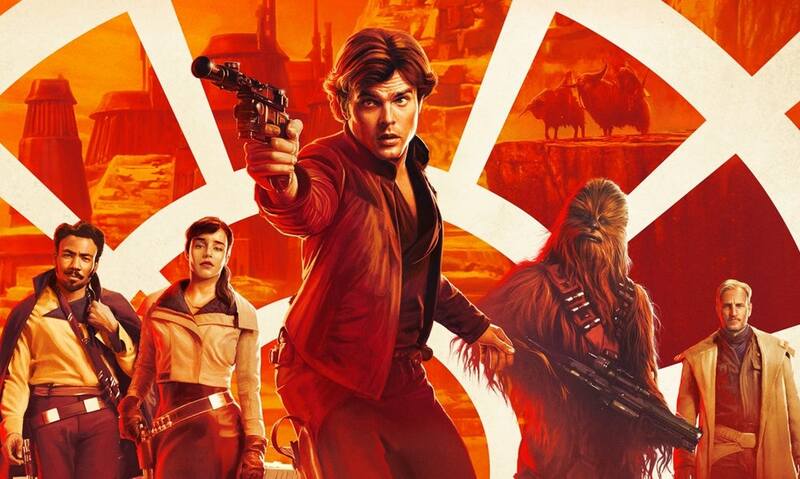 Solo shines because of its secondary characters. 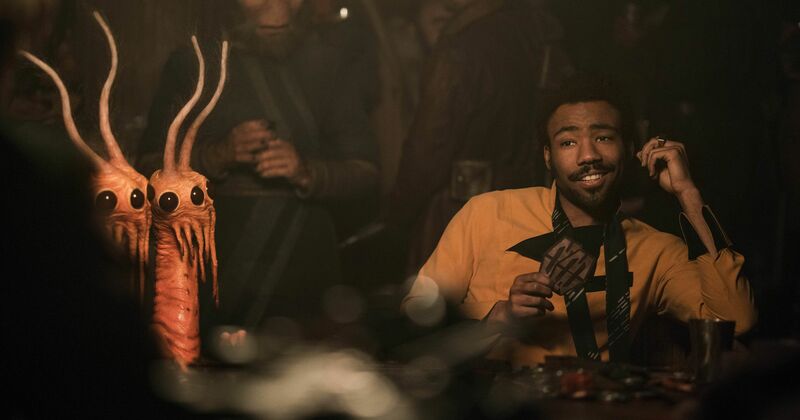 Donald Glover just steals it as Lando Carlrissian. He is funny and charming but the way Glover plays it you can see the man who will one day accept responsibility. 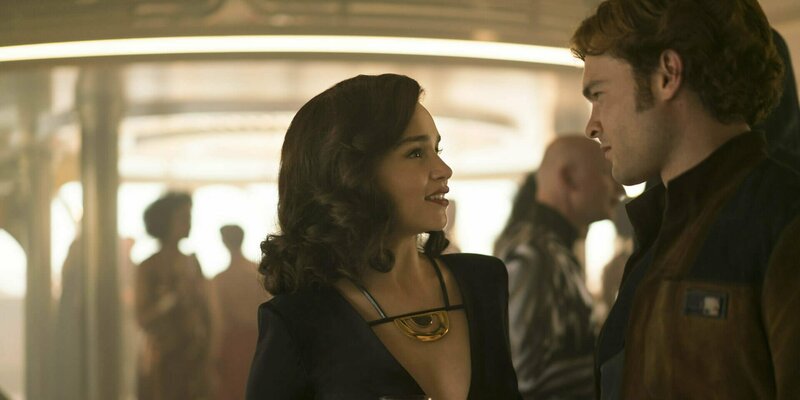 Emilia Clarke plays the mysterious Qi’ra well – the story of how she became stranded on Corellia and afterwards the right-hand of Dryden Vos remains largely unanswered, but the end hints it may be revealed in a sequel. 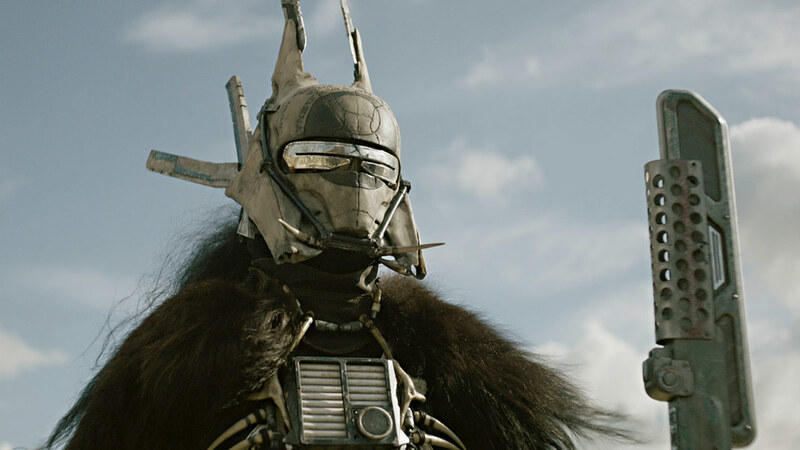 Then there is Beckett, Val, Lando’s droid L3-37 and the mysterious Enfys Nest. This movie stands on its secondary characters. I think one reason for that was the original vision held by Phil Lord and Christopher Miller – the directors replaced by Ron Howard. Their idea of a more comedic movie remains. So does it matter that there is not enough character development for Han? It does, it makes the movie feel slightly pointless. After the end credits I felt like I had seen just one of the adventures of Han Solo, but not THE adventure. I suppose the original trilogy holds that honor. That said, Solo: A Star Wars Story sets the stage for a potential sequel well – even if the ending of this movie is controversial to say the least. If there is to be a sequel I hope it will be one of contrast. I want to see the very edges of the galaxy, from the bleak far away worlds overtaken by imperial warlords to the boudoir of the emperor on Coruscant. I would also not mind if the movie focuses on a different character such as Lando or Qi’ra. In the end Solo: A Star Wars Story was much better than I expected. It was also the Han Solo movie I wanted to see, unlike last week’s Deadpool 2. That does not make Deadpool 2 a bad movie (on the contrary), nor does it make Solo: A Star Wars Story a great movie – it doesn’t.